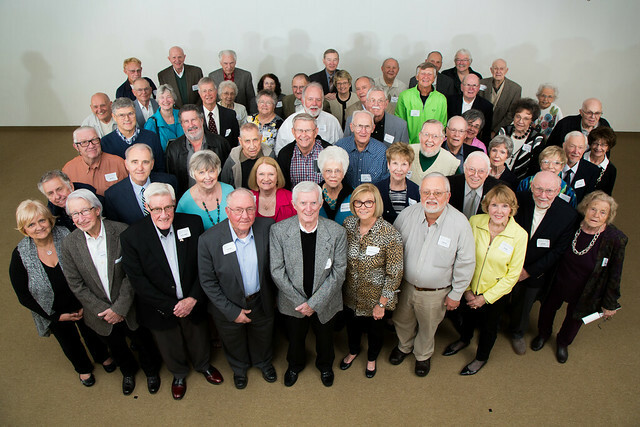 More than 150 former students and guests gathered for the first-ever Joplin Junior College reunion, held March 31. The reunion kicked off with visitors becoming reacquainted with what is now Memorial Education Center at 310 W. Eighth St., before a historical presentation by Brad Belk, director of the Joplin Museum Complex. Initially housed in 1937 at that location (then Joplin High School), the junior college found a new home at Fourth Street and Byers Avenue in 1938. It would later move back to its original building. The college remained at that location until transitioning into a four-year school in 1967 at the former Mission Hills estate (now Missouri Southern State University). Reunion activities resumed at the Scottish Rite Cathedral, with a social hour, dinner and special program.